Let's start the new year by discussing a bit about 2016. I will do my best not to get too soppy! Something that I always "preach" is gratefulness, which is why I want to reflect on this past year. For some reason it has become quite popular to hate on 2016, which I won't do. Staying positive and kind is more important, so don't engage in pointless negativity. One of the things that brings me the biggest joy in life, except my family, is traveling. It has the power to change my mood for the better, it enriches my life and being able to experience different cultures helps me grow as a person. I consider myself incredibly lucky to be able to travel even more year after year and I'm beyond grateful for this. 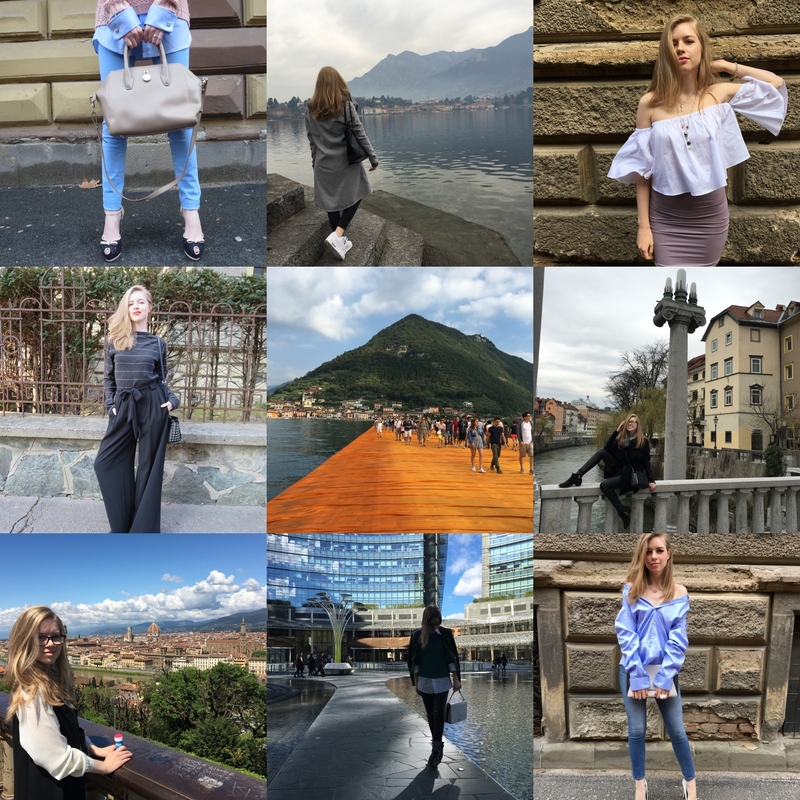 In 2016 I explored for the first time amazing destinations like Graz, Ljubljana, Florenz, Favignana and London, but also revisited countless times Maribor, Bucharest, Vienna and Munich. One of the biggest changes of 2016 has been moving to Milan, which brought me unimaginable joy, as it was a dream since I was 18. Moving again to another country has taught me to appreciate my family and friends even more, but also showed me who my true friends were. Friendships and relationships work when both "parties" take care of them. You can't force someone to care when they don't. A few true friends, who genuinely have your best interest at heart, are better than a hundred fake friends. Moving on can be hard and even heartbreaking, but it's possible. Quality over quantity! 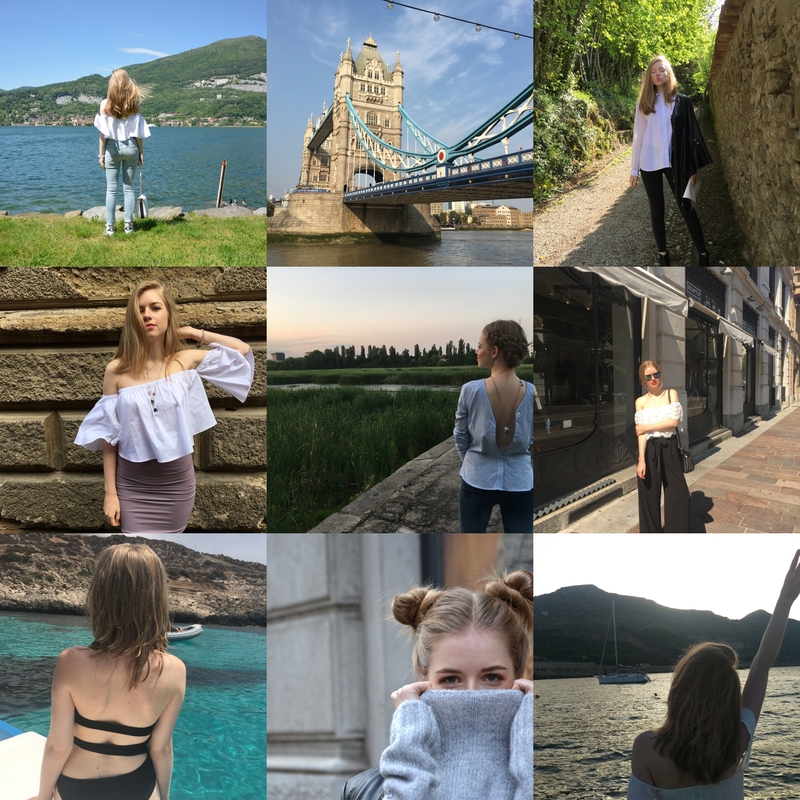 My blog has improved a lot since the beginning of last year, starting with a new layout, better and more organised content, but also collaborations with wonderful brands. It was the first year in which I seriously dedicated time to my blog. However, it's still a work in progress as I want to improve and learn even more. 2016 has also been the year in which I started a YouTube channel, which has been scary but fulfilling. It was a new experience, which I wasn't sure I would like, but found myself loving. Haven't been as organised and consistent with that, but will be in 2017. If you have any requests for videos or posts, please let me know in the comments!!! Carina, traveling is such a blessing! You learn so much! I want to travel more and plan to do so in the future. I'm new to your blog, but I love your videos & content. You have a great sense of style. Wishing you many blessings & achievements in the New Year. Keep up the great work! Happy new year Carina! Sounds like you visited some amazing countries in 2016! I started Youtube at the end of 2016 and I'm not quite sure what I'm doing but I will hopefully improve this year! Happy New Year! I wish you health and success! Happy new year! Have even more travels this year! Besides family, traveling is also one of the things that brings me the most joy. I'm glad you were able to travel and grow in other areas last year. I hope this year brings even better things for you! Happy New Year! And you've accomplished a lot during the past year....that's awesome! I'm glad to have discovered your blog and met you in 2016 too! You have such a wonderful blog, and I really enjoy reading your posts. I agree that moving to a different place can play a large role in determining who's most important in our lives. Huge life changes definitely reveal who are real friends and who won't stick around in the long run. I hope you have a wonderful 2017 that is as fulfilling as 2016 was! Great post! Really loved the pictures and what you added about real friends. That really hit home side I moved from the public school I had attended for (practically) my whole life for a private school. That experience helped me realise who were truly my friends and who were just there, and it was hard since I had known many of my friends for years, but I guess there's a reason for everything. Happy New Year! Your travels last year sound amazing! What a year! Seems you had a lot of fun! I love your positive tone for 2016. You're right, many of us (I say us because I've been guilty of it) have been pointing out the negative that took place in 2016 as a whole, but it's much better and fulfilling when we focus more on what went right rather than what didn't. I'm glad you enjoyed your time traveling and have had success with your blog and started a YouTube channel! I wish you much continued success in all you do this year, may it be your best one yet! I think it's very important to be grateful and I am glad that you moved to a place you really wanted to! And also saw many other amazing places! You are so right, friendship is a double handed street - we take care, they take care... and if not, it is because it wasn't really friendship or also, because people change along the time and what once was something, changes for not that important anymore. Normal way :) But this year I hope you still have true friends and many places to go, adventures to live and a great year! I wish you even more success in the upcoming 2017. Such a cool recap, full of amazing pics! I wish you all the best darling, happy new year! Wow! Looks like you've achieved a lot in 2016. Amazing outfits! Love the pics! I hope this year will be even better than 2016 was! I wish you a happy new year, full of new achievements and lots os success.